Facebook continues to make a series of evolutionary moves in recent months, rather than react to the news, let’s take a holistic look at where the company is headed. I’ve given my perspective to SFGate, now but want to dive into details here. I’ll give my perspective, but as we’ve seen time and time before, the real value is the collective contributions in the comments. Facebook isn’t a social network, it’s really a communications platform –in fact, when you look closely, it’s not unlike an operating system on the web. Early innovations such as the instant messaging tool,then the applications platform that allowed 3rd party developers (called F8, correction: Just Facebook Platform) aren’t unlike what Microsoft offers to consumers. What separates them from others is the social news feed which aggregates what others in your network are doing. It’s important to examine the culture and leadership of a company as it’s a strong indicator of how they’ll behave. Young, innovative, yet somewhat reserved leader Mark Zuckerberg continues to make choices that don’t always include what the community expects –or wants. In my visits to their previous HQ, it was much like a dorm room: spray painted walls, fancy cafeteria. However recently, they moved out of downtown Palo Alto (to the determent of local businesses) to a centralized location on California avenue in biotech row off Page Mill. The employee base, and culture reflect all of this: the age of the untainted product teams indicate this –In my ripe old age of mid 30s, I’m clearly one of the oldest during my visits. Recent moves indicate move towards real time. Fast forward to summer 2009, and we’re starting to see some radical developments. First with the acquisition of Friendfeed which is mainly a talent acquisition and early snatching of potentially the next Twitter competitor, who they were unable to acquire. Now we’re seeing indicators that they’re gearing up for mobile, and other devices like gaming consoles with a Facebook lite version that is quickly delivers the basic for those that need to quickly find out what their community is doing and communicate back. Lately, we’ve seen indicators they want to find ways to improve real-time search, which means they can help consumers make real time decisions. The continued innovation is spurred by the elusive business model —this awkwardness is a natural outcome of a company in growth. I’ve heard a couple of times from various employees that they’re generating revenue (but there’s no official information available) yet I hear from brands that traditional advertising is ineffective. Secondly, this constant innovation becomes a real burden on brands who have a difficult time understanding which tools to use and why, as well as 3rd party developers who are constantly rejiggering the changing API and Terms of Service. Aggregator of all. To win, Facebook wants it’s network to spread to other locations, then aggregate back to it’s website. This centralizes Facebook (which can be accessed anywhere from any digital medium) as the hub of communications. As a result, consumers will make decisions based on information from peers in this hubs, and brands will pay money to be part of it. A new class of competitors –beyond social networks. In the end, Facebook is an aggregator of all information that’s important to an individual and their friends. Who currently does this? Media darling Twitter does this, Friendfeed (hence the acquisition) and existing web email systems like Hotmail, Gmail, AOL, and Yahoo have shown indicators they’re thinking about heading this way. Content to be more public –yet members may resist. The option to allow profiles to be public and the vanity URL landgrab are indicators that they want to make information more public –yet the challenge will be convincing members to opt-in. Facebook.com as a destination isn’t as important. To be successful, Facebook will need to spread to many websites (like corporate ones) and experiences, this is why Facebook Connect (authentication for 3rd parties) matters. This Era of Social Colonization empowers the FB experience to spread to other websites. Monetization engines to turn on. The constant innovation of dozens of products are akin to ‘throwing pasta at the wall’ to see what sticks. Facebook’s 250mm user base is nearing mainstream web portal (see traffic compared to Google and Yahoo) they’re quickly closing the gap. No kingdom lasts forever. We see this time and time again, technology companies supernova, grow then fail to innovate from political tape and sheer size. This is my take, yet it doesn’t necessarily mean it’s the only opinion. 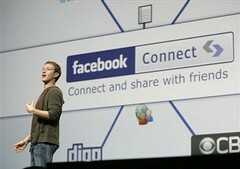 I hope to hear what you think holds in store for Facebook in the coming years, love to hear your comments. Invest 20 minutes to listen to this podcast focused on how Facebook Connect helps brands connect with existing communities. This podcast, hosted by Aaron Strout of Powered, was joined by the digital editor of AdWeek, Brian Morrissey and marketing blogger/consultant, Susan Getgood, and myself. You can also download the Mp3 file directly. Get more details about the podcast from Aaron’s blog directly. A few themes: Social marketing is about getting your customers to talk to customers –not just a brand blasting to customers. Update: Here’s the example I mentioned about VW using FB to serve up contextual content, to learn more about this trend, read “The Future of the Social Web” which was Forrester’s top report in Q2 2009 and the blog post has been translated to 20 languages. Did You Delete Your Facebook Account? I’ve been receiving many inquiries from friends, colleagues, and even family about Facebook’s third privacy debacle over it’s Terms of Service. The first two were turning on the news page and showing people network activity, and the second was the Beacon advertisement issue. Now, this third one has caused a revolt among users who did not want their information used ‘forever’ by Facebook and many started an internal Groundswell (this Facebook group has 121,000 members in protest), and some deleted their accounts. Facebook responded, both with this message from CEO Mark Zuckerberg, and even their ‘delete account’ page (careful. don’t delete your account by accident) has some new “don’t leave me please” aimed at stopping those from puling the trigger. I want to hear from you, did you delete your Facebook account (or think about it?) leave a comment below, and tell your story. I’m not using this for any reports or anything, I just have a genuine curiosity to know why someone deleted their account, and the impacts it has on them. If you’re curious like I am, see all these in Twitter who are discussing deleting, or have halted using their Facebook accounts. Dhananjay , a Software Architect explains: Why I deleted my Facebook data. Commentary on Internet data privacy rules. Blackmanxx discusses Why Did I close my Facebook? Harold has had enough, and Deactivates his Facebook account. 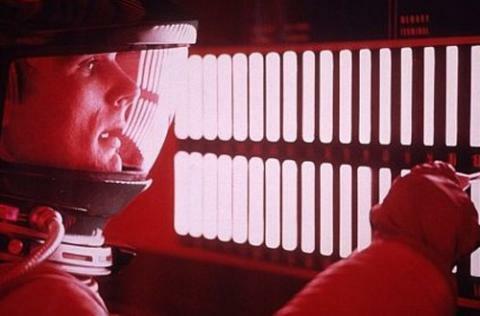 I just imagine the scene in 2001 where HAL is singing to Dave.